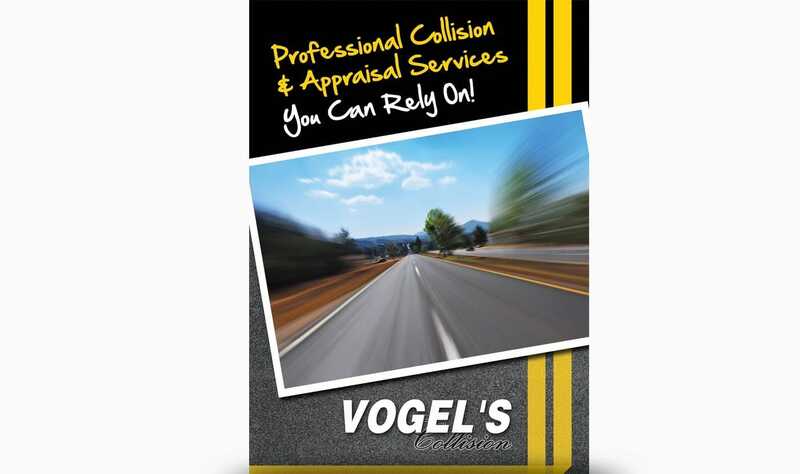 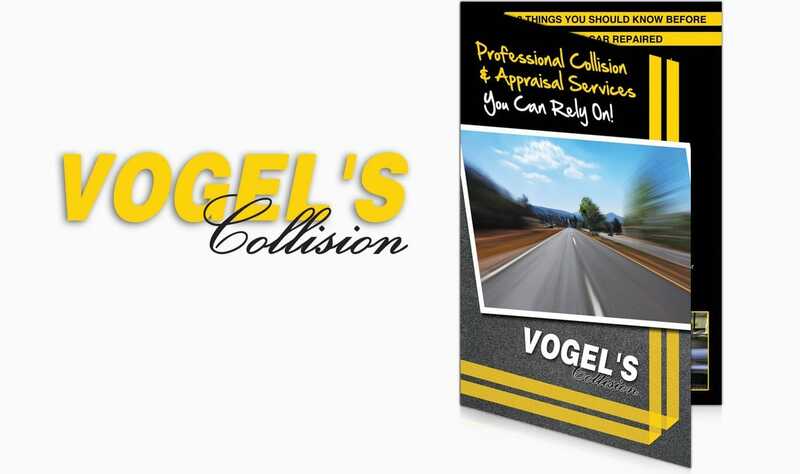 Our valued friends and customer, Vogel's Collision, has over fifty years of experience providing collision services to the Rochester Area. 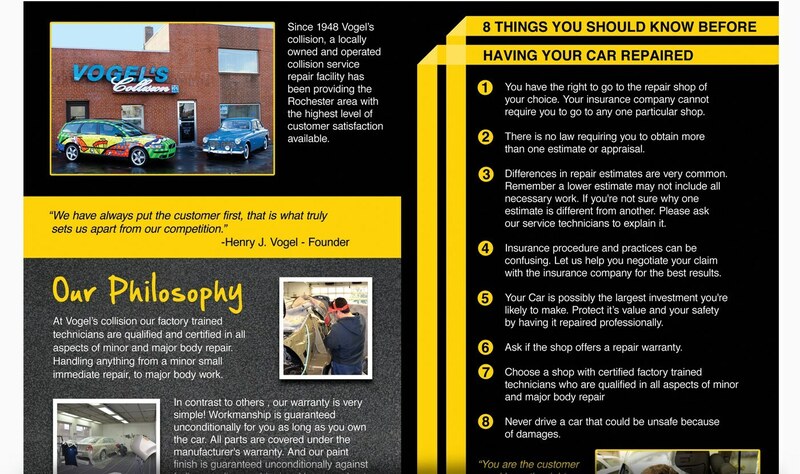 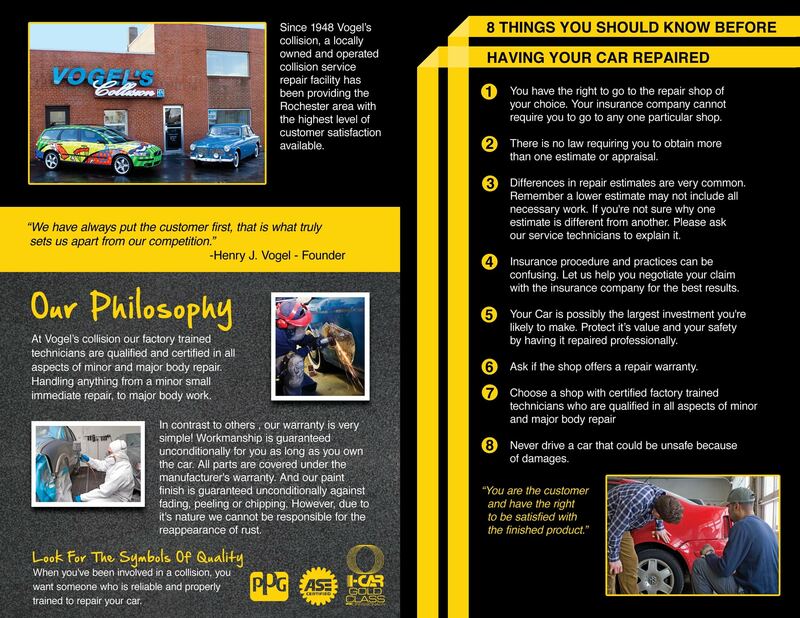 Although a majority of their customers are from repeat business or via word of mouth, they requested a new services brochure to attract potential prospects. 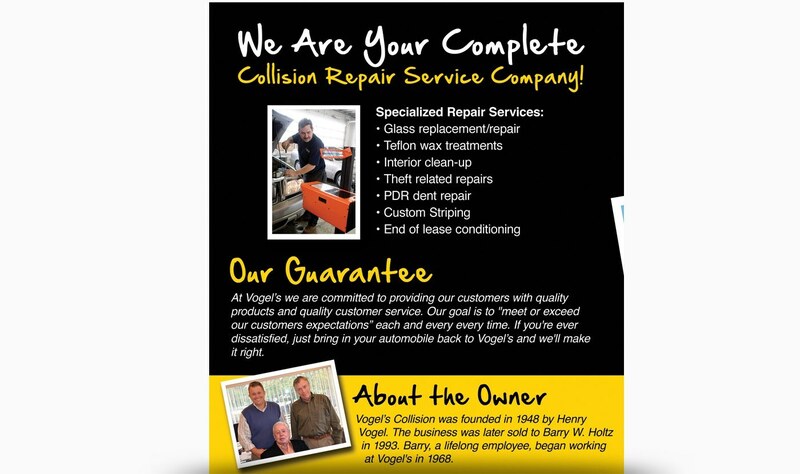 This is the final result.